Five months after its launch, the T-Mobile SyncUp Drive is gaining a new feature. T-Mobile today announced that the SyncUp Drive now offers Allstate Motor Club Roadside Assistance. With this feature, SyncUp Drive users can get help with jumpstarting their car, changing a tire, getting a tow, getting some gas if your tank is empty, and more. Allstate Motor Club customer service can be accessed through the SyncUp Drive app. This new SyncUp Drive feature is available starting today, April 4, at no extra charge. It’s being offered to new and existing SyncUp Drive customers on a 2GB or higher mobile internet plan. T-Mo customers that have a SyncUp Drive can get their free roadside assistance by accepting the update inside the SyncUp Drive app and then enrolling in the roadside assistance. If you don’t yet have a SyncUp Drive, T-Mobile is hosting a sale on the device, pricing it at $0 down and $2 per month for 24 months, or $48 total, down from its normal $120 price. 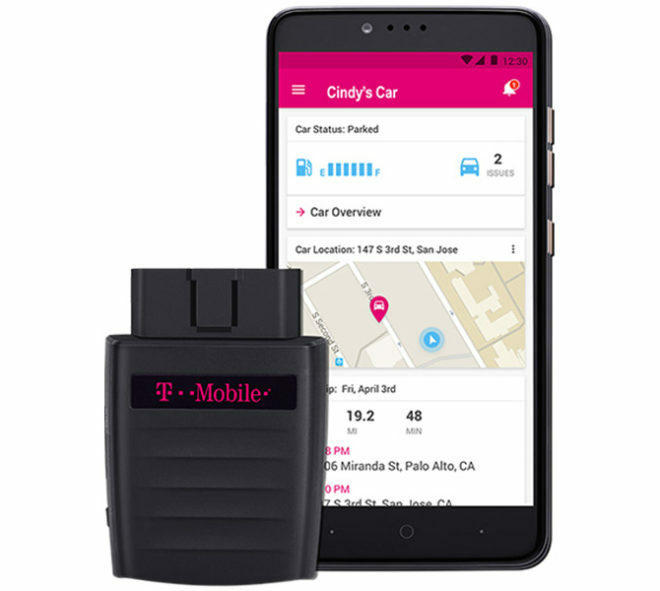 The features of the SyncUp Drive include T-Mobile 4G LTE mobile hotspot support, analysis of your driving behavior, vehicle location monitoring, and vehicle diagnostic information. Allstate Motor Club Roadside Assistance is a pretty nice addition to the SyncUp Drive. Getting stranded on the side of the road because you’ve got a flat tire or because something else went wrong with your car can be really frustrating, but at least with this device, it’ll be easy to get someone to come give you a hand. Do you have a SyncUp Drive? If not, does the addition of Allstate Motor Club Roadside Assistance and a discounted price have you thinking about picking one up? They should give a few of these away on T-Mobile Tuesdays. Have it on our three vehicles. Previous versions of the app have been incredibly wonky (changing hotspot names/passwords, etc). Hopefully the update (apparently the name of the app changed as well) will fix some of that at least.